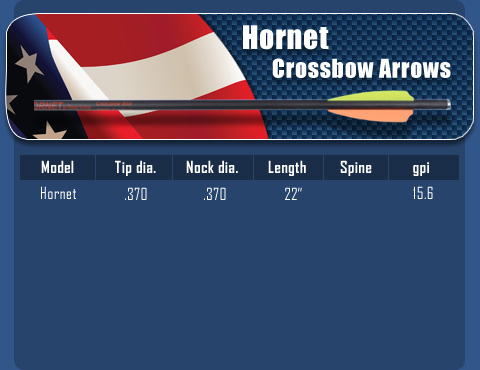 THe Hornet is an entry level shaft with plenty of weight and spine for the new crossbows. The Hornet includes flat aluminum or half moon nocks. Made in USA! Prices are per 6 arrows and include components.